Father's Day is a great opportunity for your children to show their appreciation and love for their dad. If you are recently divorced or separated, then celebrating anything about the other parent can be a bitter pill to swallow. But this is one of those times when you need to put your feelings aside and think about your children. Kids love to celebrate special occasions. There are also numerous benefits in helping your children to participate in celebratory events and traditions. Remind your children that Father's Day is coming up and talk to them about ways they would like to celebrate this special day. Maybe they would like to make dad his favourite cookies or do something special for him on Father's Day. Try to discover what they want to do and find ways to help to make it happen. If you feel resentful, remind yourself that you are doing this for your children, not for your ex. Set aside some time to sit down with your children and help them to write a card or draw a picture for their dad on Father's Day. This will foster a great relationship between your children and their dad. It also shows your child that you respect and care for your co-parent. 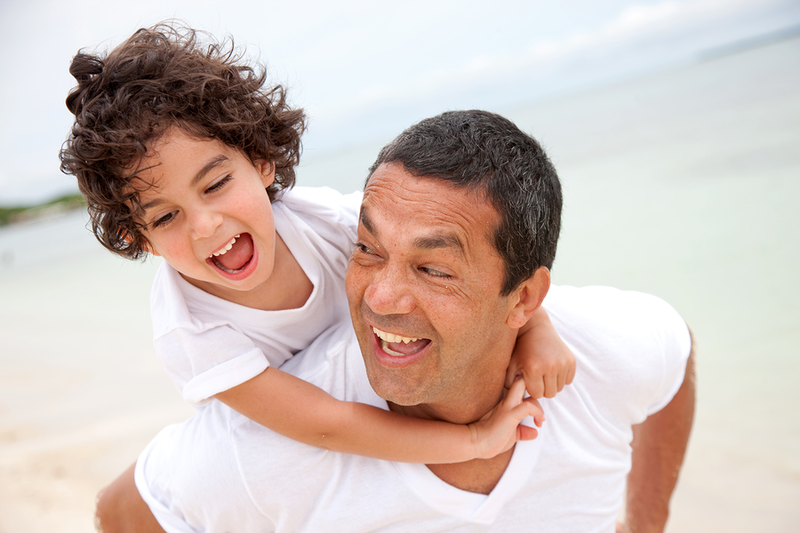 Help your child to describe what your child values about their dad and what they are grateful for. This activity also gets your children thinking about the importance of showing gratitude and compassion to the important people in their lives. Co-parenting works best when you can both focus on the best interests of your child. It's important to treat your co-parent with respect and to put your children first. You children have the right to have a loving relationship with both parents. Father's Day is a great opportunity for you to improve your co-parenting relationship. We all want to be acknowledged and appreciated. Appreciate your co-parent's efforts this Father's Day. Appreciation builds good will and a climate of cooperation. Good co-parenting often means compromising. Research shows that parents who are more flexible are able to co-parent more effectively than those who are more rigid and refuse to compromise. If at all possible, make sure the kids get to spend Father's Day with dad, whatever the parenting time schedule is for that day. It's a special day and one that they will most likely want to celebrate with their dad. Look for the compromise when it comes to changes in the custody schedule for special occasions. If the idea of doing your ex a favour is intolerable, then do it for your kids. They have the right to celebrate special occasions with both parents. Don't take that away from them just to get back at the other parent. Work together to find a mutually agreeable plan for the day. If you cooperate with each other, you will be able to find a solution that you are both happy with. So if Father's Day falls during mum's parenting time this year, and the kids want to celebrate with dad, be kind and say yes. Don't make your kids miss out on a special occasion or having fun with the other parent out of spite. Children end up being the biggest losers in this scenario. Also, when you make a request next time, your co-parent is much more likely to say yes. For co-parenting to work, there has to be respect. So dads, if you want to spend time with your kids this Father's Day, remember to ask your co-parent rather than demand it. When communicating with your co-parent, it's important to always be civil. By treating your co-parent with respect and by approaching matters in a cooperative way, you are showing your children that they come first. Make sure you give them reasonable notice if you'd like to change parenting time arrangements for that day. Don't just assume it will be fine. When you treat your co-parent respectfully, they will treat you the same way. When your children spend special time with the other parent, let them enjoy it and be sure to ask them all about it. Show that you are interested in what they're doing when you are not together. Make sure they know you fully support their relationship with the other parent and that their happiness is what really counts. This advice can be applied to all celebrations throughout the year: Mother's Day, birthdays, family occasions and Holidays. Whenever you are making plans, remember to check in with each other if you need to make a change to the parenting schedule. If you and your ex do not have a co-parenting plan or visitation schedule in place that outlines exactly which parent gets the children for each holiday, you will need to discuss any potential plans with each other and come to an agreement. Hopefully the conditions between you two are positive, and in that case, you can easily come up with a schedule to successfully share the time with the kids. However, if any misunderstandings or miscommunications are present, things can get a little more complicated. It's always best to think of how you want to manage celebrations and special occasions with the kids, come up with a reasonable schedule, and present it to the other parent as conveniently as possible. Whatever the celebration, make sure you work together to put your children first and focus on what will make them happy. They will appreciate and remember it for years to come.